The success of a commercial bank depends largely on the quality of services rendered to the clients. Quality depends on the competence and the quality of officers and executives. Premier Bank Limited believes in paying competitive salary and emoluments to its employees and to get maximum services out of them. 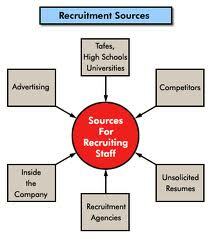 Therefore, the authority of the bank has to be careful in recruiting the right person for the right job. It should be the duty of the management to analyze the manpower requirement of the organization at the end of every year in each category for effective operations of the bank. The Board of Directors on the recommendation of the Management will be the supreme authority to sanction or to create additional post. Creation of a post implies commitment of fund for long term. Therefore, it is the responsibility of the management to examine the work load and do the job analysis and to look into the real requirement of employees under various categories and to see whether an additional hand is really necessary. Premier Bank must recognize the importance of manpower estimation and accordingly an Organogram should be prepared for Head Office, for each Division & for each Branch. Subject to review from time to time, the competent authority as per power delegated by the Board will give the appointments. b) Every candidate will appear for a written test. The subject matter of test should be General Knowledge, Mathematics, English etc., Management from time to time may decide Economics/ Banking as. For this purpose, Premier Bank Limited will take the help of outside experts such as IBA, Dhaka University or similar institutes for setting the questions, supervising the examination work, examining and marking the answer scripts and preparing a merit list of the candidates.